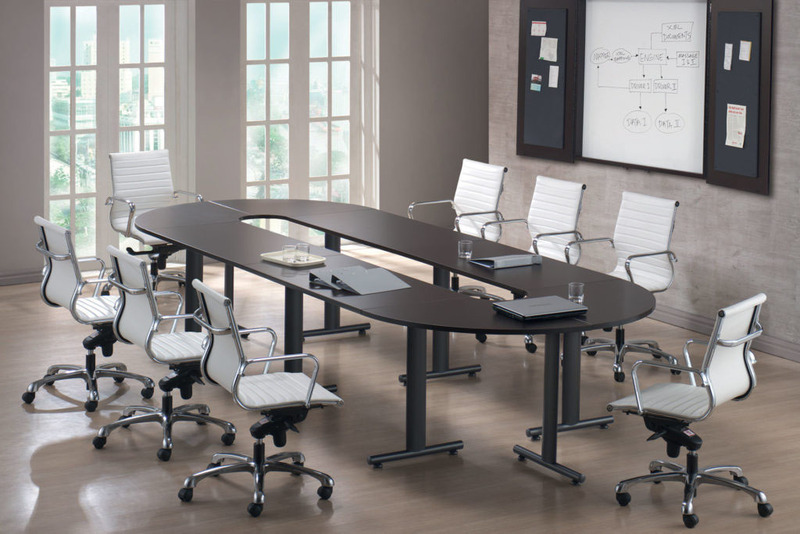 Bring Great Ideas Together. Be ready to teach, learn, and collaborate with the adaptable convenience of EZ Linx conference tables. 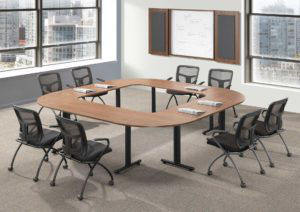 Affordable and ingenious, this modular system of free-standing and connecting tables lets you arrange your space to suit the occasion. 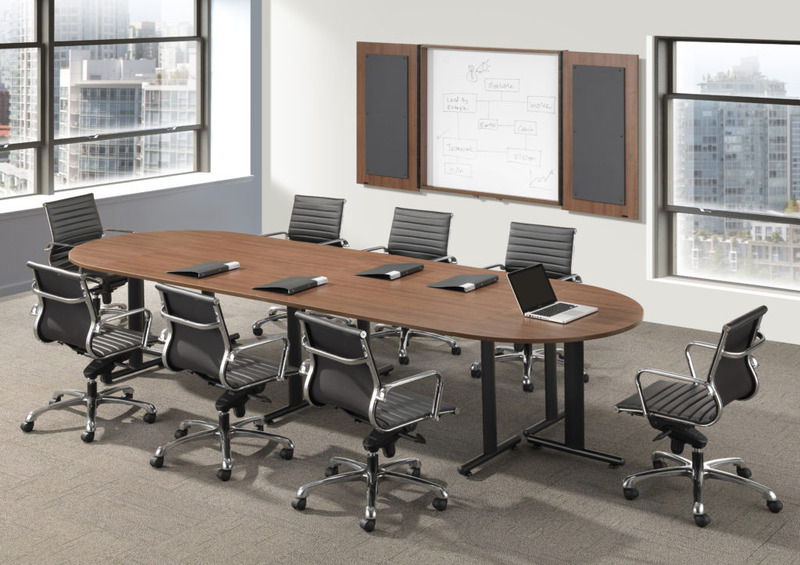 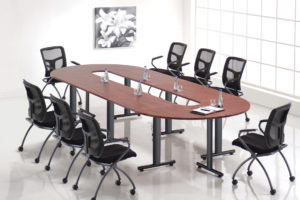 Choose from rich laminates and a variety of leg colours and styles to create your perfect EZ Linx conference table, whether your decor is high-contrast modern or seamlessly matched executive. 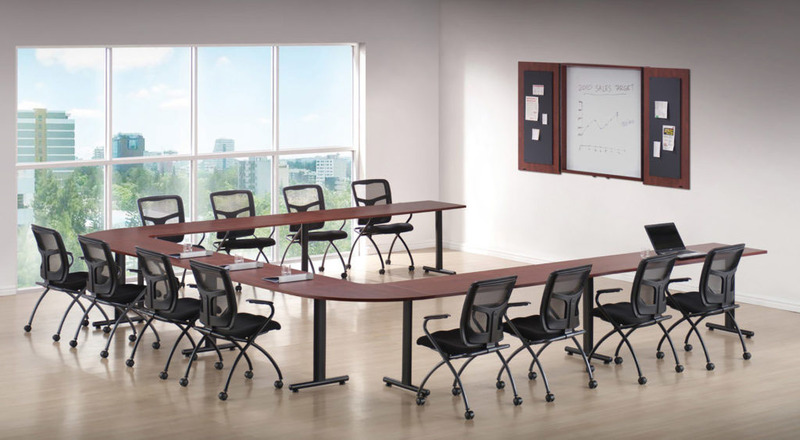 In collaborative and learning environments of all sizes, EZ Linx delivers high quality, affordable solutions that look great. 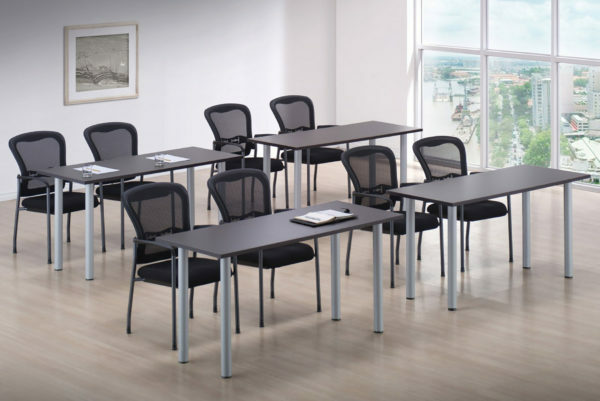 Created for Collaboration – Perfect for classrooms, meeting areas, and large or small event spaces. Designed to Fit Any Space – Table tops are available in rectangular, half-round, and crescent shapes for maximum flexibility. Stylish Options – Choose from 7 rich finishes for rectangular tops, and 3 finishes for half-round and crescent tops. Variety of coordinating and contrasting leg options available. Quality – Greenguard certification means low-emission materials for a healthier office.